There are over 800 species of dung beetle in Southern Africa. 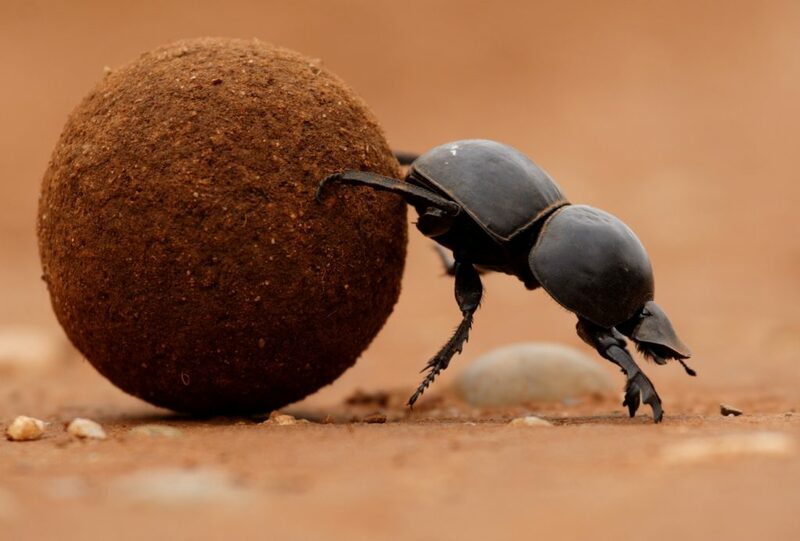 Unbeknown to many, there is a rare sub-species of dung beetle endemic to a few areas in Southern Africa. 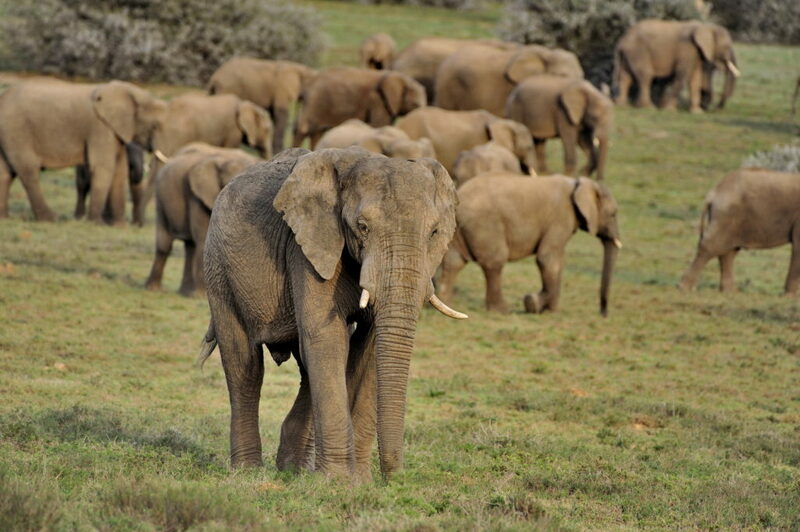 This special creature is found at Shamwari Private Game Reserve and at Addo Elephant Park in the Eastern Cape. The flightless dung beetle is regarded as one of the largest species of dung beetles in the world. They can roll up to 50 times their own weight! As opposed to wings, flightless dung beetles have a tightly sealed elytra (wing case), which creates a convective cooling system where heat is drawn away from their body. Thus, they are perfectly suited to hot regions. These insect’s feed on elephant, rhino and buffalo excrement. The dung serves many purposes for these beetles which include a source of nourishment, an ideal den for breeding, and a gift to lure in a female for some male species. According to recent studies in South Africa, dung beetles use the milky way to navigate their way at night and move in a line to reflect it. Astonishingly, they are the first known species to do this in the entire animal kingdom. When they roll their dung along the ground, the movement helps to aerate the soil and fertilize the ground by spreading animal matter like compost. This unique species is listed as vulnerable of the IUCN list due to several factors such as habitat loss due to agriculture and human interference. These little creatures also have a low breeding capacity and a low ability to disperse due to their flightless nature. The reintroduction of this incredible beetle is one of our proudest success stories at Shamwari. Make sure to look out for these insects when out on safari, they make for interesting sightings! In honour of World Planting Day, we thought we’d share some interesting facts about Spekboom. This wonder plant is found all over the reserve and is a firm favourite for many of our animals.